@ jeff – compliments on travelling down a somewhat different and very, very intriguing avenue….the mental makeup of the PIC …been waiting for some time now to have the slide rules, the calculators, the formulas, the computers…all pushed back…given a well deserved rest…and some good old fashioned style thinking being used ( or abused )…either way i’ll be listening on pins and needles, as our two year “anniversary” nears in a couple of weeks. he didnt repeat the frequency of HCM ATCC in the last message. The clue is in the ATC communications. The stressful voice at 17:01 UTC indicates that Shah had a gun pointed to his head by a passenger or disabled Fariq (locking out or murdering him in the cockpit) few moments earlier. Before i get attacked… this is only my observation. At 17:01 UTC the PIC reported maintaining FL350, and all of a sudden 6 minutes later, he reported again maintaining FL350 at 17:07 UTC. This was the only message that was completely unrequested. Was the PIC under heavy stress because he pulled several circuit breakers before and checked that he didn´t deactivated the radio during his actions ? And why didn´t the PIC confirmed the new frequency for HCM 120.9 ? The PIC confirmed everything before 1:1 but not the new frequency for HCM in his last message. Pilot suicide would be a very rare singularity compared to other options. The odds for a pi-cide happening go against trillions or more. This is even more true, since a prolonged suicide would add a very exotic freak note to this event. It seems to me that the science of psychology, the oldest science in use, would need to be rewritten, to make mr. Shah a suicide as told by the ATSB folk and others. So if we assume that against all odds, the suicide story is true, we need to explain, why the declaration of an emergency did not come against all protocol, when the HCM ATC asked for the missing plane, and the MAS HQ was actively assisting the disappearance with plain wrong desinformation, which bought the time to reach butterworth unharmed and then after that the other coincidence, that the satelite signal started to emerge at the very moment , when the radar observation ended. Remember we are talking about a double size freak show and just if it was not freaky enough, we have all these convenient coincidences that only happen once in a lifetime …? Thats too much to buy for me. Fairy tales were 60 years ago. Todays reality is the advance of electronic warfare. And Russia started asymmetric wars exactly at the time when MH370 disappeared. Remember, just a couple of months ago we had to replace all computer hardware in our house of legislators in Germany because of a hostile russian cyber attack. When something smells like war, tastes like war and loks like war, it will probably be war. MH370 disappeared in a war-like commando action with a lot of outside assistance. So thats a reasonable presumption as opposed to exotic freak scenarios. @ jeff – just a little sidebar, you probably do have an idea about what a can of worms you have opened….whew..! I am on record – repeatedly, and passionately – as calling for smart people in this forum to set aside their pet theories and villains, and to join me in demanding a full audit of search data and decisions, in hopes it will help us dislodge the truth from wherever it lies his. And to that I hold. I even went so far as to voluntarily stop arguing for one set of speculation over another, in hopes it would inspire others to join the charge for greater transparency, instead of wasting time and energy smacking down each others’ speculation. But I simply cannot stand idly by and watch loony logic prevail by virtue of being the only voice to speak. To consider a “flew north” theory one of the “only possibilities left” – and yet dump on the mere scientific exploration of “flew west” or “crashed immediately” theories – seems very odd to me, in light of the facts. All theories in the “did not fly south” family are inconsistent with the signal data, and thus (barring the coincidence of accidental corruption) require a strong state actor manipulating it behind the scenes. The simplest and most logical explanation is that it would be the state(s) with best access to the signal data, and/or the one(s) pushing “DID fly south” the hardest. And it simply cannot be denied that, of the remaining directions, “north” has by far the largest gap to close between evidence predicted versus evidence recorded. I was encouraged, Jeff, by your call to us all last week to “embrace the weird”. I have for 18 months now been compiling evidence counter-indicating the SIO: if wreckage WERE found anywhere along the southern 7th arc, it would raise more questions than it answers. It is encouraging to see more and more people finally coming around on this. But if “embracing the weird” requires us to over-swing the pendulum – to the point where we censor valid evidence, abandon basic logic, and look only in one direction – then please count me out. If you get to argue the merits of your case, Jeff – and of course, you should – I think you should consider allowing other “directions” – provided they are evidence-based – to argue the merits of theirs. Otherwise, it is no longer an unbiased exercise in crowd-sourced investigation, and as such will be destined to succumb to Group-Think. Slow suicide? I think not! Surely whatever happened, happened fairly soon after takeoff, and either disabled all communications including passenger mobile phones (how? ), or rendered passengers and crew physically incapable of making a call or sending a text. Would sudden decompression really have prevented any last-ditch communication with loved ones? All the flights I have been on have had a mobile signal for at least part of the time. Or was the hijacker a frequent flier who knew there was no signal in that spot? It would be a hell of a risk to take otherwise. Also, if the plane went north as far as Baikonur, could a hijacker be sure the fuel would last that long? It sounds like it would have been cutting it fine. Would they really have gone to all that effort to risk crashing in the middle of nowhere? so, your only two possible theories are those most far-fetched?! And you are still following the storyline that he had to succeed in whatever he planned…smh. 2. Jeff, I got stuck (as you can see) on your preamble, but the rest of your post was, characteristically, outstanding. I have never suspected the crew. Well said @brock. I suppose I should not be astonished at jeff’s move but I am. If mainstream assumptions don’t work then it must be xxxx (insert bizarre theory of choice). I am afraid that just as ATSB is laying trail in case of failure to find, JW is doing something entirely foreseeable. Jack up the weird because the media loves it. Shame. And, btw, your “expert witness” doesn’t just pour cold water on your sorry leap of non-logic, it’s the full ice bucket. We were thrown a bone to chew on, however we didn’t really check if it was fresh. We were hungry. I don’t go as far as saying it was cooked, but really raw would have tasted much better. @Niels: I would extend your sentiment to the radar data and the results from the flaperon investigation. Therein lies some important clues. @Brock, I’m glad you liked the second part! Regarding your first comment, yes, certainly, I would be delighted to hear more evidence-based scenarios. It sounds like you disagree with my favored northern scenario but would also come down on the “spoof” side of the equation, so I don’t know if we’re really that far apart. @Miss Marple, As Victor Iannello and others have accurately pointed out, there are definitely fuel problems with getting to Baikonur. Someone heading there would probably want to have a Plan B, or else head somewhere else within fuel range, like Almaty. My own digging, unqualified as I am to draw conclusions in psychology, was virtually identical to Katherine’s statements. I could not find a single source that differed significantly from the theme in your post. So, I took suicide off the table a long time ago. Likewise with an aircraft failure. Statistics show fewer than 20% of hull losses are attributable to technical issues. The fact that MH370 flew to fuel exhaustion after the diversion lowers the 20% number substantially. Could it have happened? Of course. Do you want to hang your hat on a very low probability scenario? Most elect to avoid the issue entirely, by rejecting the consideration of anything resembling causality. I have found it very hard to understand that position. Maybe it is an age related demographic issue. It is any wonder that the current SIO search zone and the theories of people promoting it have been the subject of mild (and not so mild) ridicule in many of my posts? While an elaborate spoof cannot be eliminated, one comes back ultimately to “why?”. Anything or anyone on the aircraft or the aircraft itself could be obtained in much simpler ways. The spoof suffers from a lack of a reasonable underlying motive. Someone smart enough to orchestrate a spoof would certainly know that there are easier ways to get whatever it is they wanted. I could not find a single example in the history of commercial aviation in which an aircraft was hijacked for anything on the aircraft or the aircraft itself. The only motive I can postulate that has staying power is the “political statement”. Does it have flaws of its own? Sure, but the flaws are much more easily circumnavigated. This is the fundamental reason for my CI scenario. A flight path paralleling Indonesia provides ample opportunities for a diversion to a landing area. @DennisW: Let’s suppose China is behind the hijacking because of cargo or passengers on the plane. Yes, it would have been possible to take the valuable items at Beijing Airport, but then the world would know it, Malaysia would appeal to the UN, and China would risk international sanctions. By hijacking the plane in a secret manner, this is all avoided. And even if the US were to know what happened, it is very unlikely to make that public. There is a consistent pattern of this administration’s hiding or distorting incidents so that the US is not required to take action. The US has no desire to confront China at this time. The Captain makes the call on their fuel load. In this case he took on board as much as required for their destination and reserve. There was capacity for more. So if he intended to fly in the middle of nowhere he could have flown further South, or reached more land side North. I don’t believe it was Captain Zaharie. Sophisticated hijack given the mechanics involved, but then why fly South? Need to see all data including pax background info, which of course will never be shared. It would be a stretch, but maybe. Once people or things are in China it seems easier to get them than to hijack an airliner (which obviously cannot be done without someone noticing). Plus that, I cannot postulate what could possibly be on the plane (people or things) that China would want that badly. @DennisW: I don’t think either China or Russia would hijack the plane just to intimidate. There would have to be something of extreme strategic value. I can think of some examples, but I prefer to not disclose these at this point. Could well be. People at the highest levels in government (including our own) have shown great disregard for human life and collateral damage. It is only a matter of a conviction that you can pull it off without unacceptable repercussions. Agree with your remarks regarding suicide. “The outstanding common characteristic of terrorists is their normality”. “Most serious researchers in the field at least nominally agree with the position that terrorists are essentially normal individuals”. “As with other terrorists, there is no indication that suicide bombers suffer from psychological disorders or are mentally unbalanced in other ways. In contrast, their personalities are usually quite stable and unremarkable (at least within their own cultural context)”. “The motivation and dynamics for choosing to engage in a suicide attack differ from those in the clinical phenomenon of suicide”. “Their acts, which is of course under the vocabulary of brutal and ruthless, are always expressive of their behaviour as sharp, attentive calculated and moment seeker which rattle them under the rule as attentive, alert and orientated in time and space hence declaring themselves as more smart than smartness”. Maybe nobody will agree with me but I haven’t settled on any particular theory and think the situation is still wide open. I struggle to think of realistic scenarios which should come off the table – possibly just a purely weather-related crash. As to spoofing, yes that is possible IMO and perhaps more likely is later fabrication of some or all of the radar/satellite data. I’m sorry but I disagree Brock with your suggestions of a major audit going back to day 1 and/or a public boycott of air travel. I view these as possibly counter-productive/ too extreme. How the public can best help with solving this is unclear to me because in most scenarios I would say that the NoK and public have every right to know and we should push very hard for radar data, flaperon details etc. and hopefully this sorry incident can at least be a catalyst for improvement in the many facets of air travel. On the other hand, in the unlikely but extreme scenarios where a state (rogue or otherwise) has caused this, there may yet be delicate negotiations taking place; e.g. not to give anyone false hope but a remote chance exists of hostages still alive after these 2 years. So, in the absence of any rock-solid evidence to the contrary, IMO the plane could well be in Russia, China, have flown by the Maldives, crashed in the SCS and many, many scenarios still exist, all fairly unlikely but possible and worth discussing. By contrast, the data we have has been analysed by many expert and dedicated people and I see no viable alternative to the current search area and no justification for it to be extended. @AM2 and @Brock, Hearing your complaints about my first paragraph, I’ve thought about it and have come to the conclusion that you’re right: in describing the spoof scenario, I was too restrictive in saying that it necessarily implied that the plane went to Kazakhstan or China. That’s true if only the BFO data was spoofed, which I personally think is more likely, but it’s also conceivable that both the BTO and BFO values were spoofed, in which case the plane could have gone anywhere. So I changed the wording in the last sentence of the first paragraph. One thing which is currently so frustrating is that so much hinges on what can definitely be determined from the flaperon. If it has been planted then all this conjecture about end of flight modes in the SIO goes out of the window, maybe along with any SIO scenario. Anyway, hopefully we do get a full report soon but some have mentioned that the details might still be withheld under French judiciary process (which I have no knowledge of). Sigh. First, this is a very good article and some more good gumshoeing on your part by contacting Katherine. First let me say this photo of Captain Zaharie is much more flattering than the file photo MAS used in the media in the beginning, which was not a good likeness of him and was incriminating in itself, that had his mouth in some kind of distorted smirk. (If I was in their (MAS) marketing think tank I would not have released that first photo but I don’t think they had that foresight) This photo of him shows the kind, affable face that all his nieces and nephews lovingly called Uncle “Ari,” a man described as being “generous” and “methodical,” and was always there to help his family with their homes. I’ve been in his camp from the beginning but took a step back and took another look at him to try to see a darker side. There could be one or not. Ok, then we throw in “Window Seal,” the rigged voter flights of MAS, the Anwar trial, some random Facebook rants, the fed up with the nepotism aura in the country, supposed practice landings in the SIO on his simulator, affinity to gliding toy planes, and a mystery connection with another woman. Does that amount to the profile of a mass murderer? Did all of this culminate with Anwar being the last straw? I have my doubts and still think this is bigger than just Anwar catapulting him over the edge. And distraught over two women, give me break, the Muslim culture would accept it and the two women would accept each other, his brother-in-law even stated as much. I’ve said all along what Katherine says here. It just doesn’t fit. How does a man with such a giving nature, willing to give advice to the public on home fix-it remedies, take part of that same public to their demise as pawns in some chess game with the regime? I think his regard for human life is/was greater than that. Zaharie would be Malaysia’s “out,” their scapegoat as Littlefoot has said. Malaysia could easily just blame him as some rogue pilot and how could we ever see that coming they could say. That would take the pressure off of the major players like Boeing, Inmarsat, Thales, and all the software companies, etc. But yet, Malaysia is not doing that. In a sense, if it was him, and since we are “embracing the weird” there could be a remote chance he did it, but if it was him that almost keeps aviation in general “safe” as far as any technical and mechanical big worries as a result of this. It may institute more psychological checks on pilots though. Something I never considered that I believe Susie Crowe brought up was that could someone have been unconscious or knocked out cold for a few hours and woke up and tried to gain control or do the best possible water landing in the given situation? I suppose that could be a possibility. As far as the spoofing goes, before even getting to that, why isn’t anyone questioning, “ok, if this is the very first time Inmarsat has used satellite communication data as location and tracking data by applying the old math to it, so then it is foolproof first time out of the gate?” As I have asked before, where is Inmarsat now, are they recalculating the data with different assumptions or are they just reviewing the data for any possible overlooked or missed flaws? If Zaharie is innocent or guilty, he is now infamous either way. Either he is the anti-hero of Malaysian folklore who risked life and lives for a better democracy, or he is an innocent victim himself of a hijacking or bizarre mechanical or series of mechanical failures. I supposed there is an outside chance he did it and it defies all previous pilot suicide statistics and psychological odds. But we don’t know for sure who was at the controls at the end of flight or if it was even Zaharie. This being my first attempt ever investigating or taking interest in an aviation disaster and I have been at it from day one of the disappearance, and talk about “taking a Brody” head first into my father’s field of aerospace engineering and avionics, I am going to say that yes it seems to be pointing to two possible scenarios left, either the suicide or the hijacking, but………I am still giving a small possibility that something else happened other than those two things, or it was coupled with either one. My take is that Inmarsat has nothing more to add. I thought their JON paper was well done, and the data has not changed. 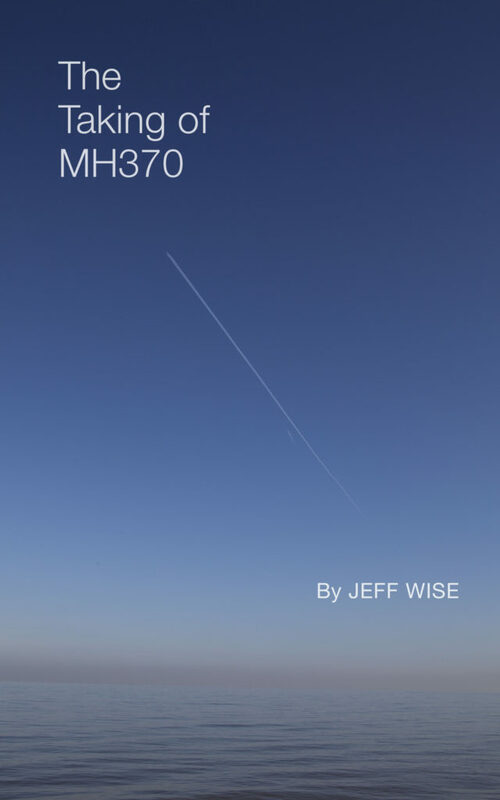 As Jeff Wise has posited in the ‘Spoof’, there is very strong suspicion that Russia could have been behind the disappearance of MH370. The allegation that a state could have been responsible for the disappearance of MH370 may be shocking. But there is one exception to this rule, namely the USSR. There is also historical evidence for Russia’s willingness to ‘sacrifice’ people for a ‘greater’ cause. Traditionally, the defeat of Nazi Germany in World War II has been attributed to the significant contributions made by America and Russia. But whereas America could rely on its huge capacity to out-manufacture the Germans, the Russians who lacked that same capacity relied instead on their sheer numbers to defeat the enemy. Although vast numbers of Russians did resist the Germans valiantly, a large number of them also deserted the front lines, or were accused of lacking fighting zeal. These ‘deserters’ were formed into convict battalions which marched to the frontlines during assaults, or held the rear during retreats. This history of sacrificing people for a ‘greater’ cause has been passed down the generations, from the use of conscripts from rural areas to fight wars in Afghanistan and Chechnya, to the bombings in Moscow. This might seem somewhat incongruous when discussing MH370 until one looks at the words of General Kornukov, who when asked about the shoot down of KAL700 in 1983 replied, ‘in war sacrifices have to be made…we sacrificed battalions to win the war’. Could MH370 have been a ‘sacrifice’ in the war between Russia and the West? Actually I would take a step back; the fact that the search did not find anything in the search area so far, can only ruled out one specific scenario that leads to the current search area. If someone would list out all the assumptions that is used to project the flight path to the search area – then that would be the set of specific assumptions we rule out. I guess you are right. There were probably plans to use it in the future for tracking/locating but in this case they were forced to crudely use it much earlier than planned in a crisis situation for location. Like after a year or so wasn’t it all of a sudden there was some data set they did not use that later determined an earlier FMT. I have the utmost respect for them but I am just saying hopefully they don’t just have “blinkers on” and are exploring other things or let’s say, “embracing the weird” as well. I still think the ISAt data is the best there is in all of this. You may wish to consider generalizing the “Doppler” part of that sentence, as well – one must alter both BTO and BFO to perform a “full spoof” – but this is a quibble. Before the numerical Inmarsat values for BTO and BFO were made available the famous fuzzy chart of elevation angles was presented to the Chinese NOK at the Lido hotel. In fact it was the fuzzy chart of elevation angles that enabled the private attempts to generate the first “ping rings”. So where did the fuzzy chart of elevation angles come from? To derive the true elevation angles it is necessary to perform the same BTO calculations and hence to understand the derivation of the formula to do so and the meaning of the fixed bias constant. Presumably then, the calculations were performed by Inmarsat because at the time the fuzzy chart was presented there was still considerable debate in the public arena over how to do this. When the Inmarsat data was released and the calculations were performed it was possible to demonstrate that the elevation angles previously presented were fairly approximate. Don’t forget too, that Inmarsat presented its Differental Doppler Study to AAIB on 23 March 2014 [but still guessing at the aircraft speed at that time]. Inmarsat may have known about the “anti Perth” error at that time, but I suggest that very few other people did. Is the Inmarsat data reliable ? In my view, a resounding YES. Nice paper, but I have to disagree with the title and the first paragraph. In fact, nothing has changed. In addition to the two possibilities you listed, the technical failure and failed hijacking are still on the table. Those, who are telling about triple redundancy, should read a bit more on the causes of a number of recent crashes and near-misses. Technical failure followed by a pilot error, isn’t it? As a matter of fact, triple redundancy is not triple in many cases. Take QF72 example. One of its three ADIRU units fail. It looks like a minor problem: 2 units still were healthy. But the issue was that the average of two ADIRUs readings were counted by software, so that the error was still significant. And after switching to a healthy ADIRU unit, the crew got confused which of them provided correct data. There were also previously undetected software bugs, which contributed to the accident. With regard to a failed hijacking, many speculative versions can be put forward about what went wrong after 18:25. Why not? Improbable does not mean impossible. With regard to the Captain’s role or Co-pilot’s role, so far absolutely nothing points on their planned involvement. Both of them were cleared by FBI, Malay police, medical screening, etc. I would refrain from blaming on them until all other possibilities are ruled out, or until something suspicious is found about them. And Jeff, frankly, I think you should modify the title for now, at least with respect to the family of the captain and his lovely son. Who knows, perhaps his father was a hero, who did everything possible in a failed attempt to save 200+ souls. In other words, there is a principle called “Presumption of Innocence” (the burden of proof is on the one who declares, not on one who denies; the principle that one is considered innocent unless proven guilty). Sadly, I found a lot of countries now deny this principle and follow exactly opposite. 1. The flaperon. Yes, it could be planted. But for what? It could be dropped somewhere at Australian, or Indonesian, or even Tasmanian shore to create impression that the aircraft definitely crashed from 10 to 40S. It is a huge and deep area. Why Reunion? 2. BTO would be the best to spoof. Yes, it is more complex, but the advantage over spoofing BFO is obvious. And if culprits did not know about BTO recording, as you suggested one day, then they would not really care about BFO. Assuming that BTO is not available, it would be impossible to say something about trajectory. 3. Inmarsat is in possession of signal strength for each (or not each) communication log. They did not publish this data, but mentioned about its existence. Consequently, if satellite dishes were not properly oriented, as it would be expected in case of spoofing, the signal strength would be lower, and Inmarsat would suspect something. In other words if position supplied to SDU was wrong, satellite dish would be improperly oriented, and the signal would be weaker, perhaps eventually lost. Apparently this did not occur, indicating that coordinates of the aircraft supplied to SDU were correct. Thus if tempering occurred, it would be at AES level, which would receive correct coordinates, but spoofed velocity for the calculation of Doppler compensation. They have. Signal strength. Though probably it does not change anything, and that is why Inmarsat did not release this data. CliffG – USSR developed State sponsored terror? I thought that dubious honour fell to the Jews in Israel with their Irgun and Stern Gang in the 1930s and Lehi in the 1940s. On July 2, 2014 a 6cm x 8cm moist towelette in wrapping branded with the Malaysia Airlines logo was found on a beach at Thirsty Point, some 124 miles north of Perth. The latitude of the Thirsty Point is approximately 30.5S. If we make an assumption that both the flaperon and this towelette drifted from the same location, what model of your list would be the most representative? OZ – on the terror angle: I recently learnt that Malaysia(Sunni state) has a growing Iranian population, who are almost entirely Shia, which is effectively banned from open practice in much of the country. Spencer once dug up a page where Shah identified as Iranian?? Now I can’t find it….Be interesting to know how he made his bed because the Sunni-Shia punch up going in the ME was a fair while in the planning – from the Iranian angle in particular. 1. Subtract a number Inmarsat gives you*. For a given altitude, an “arc” is the set of all points that are this distance from the satellite, and the “elevation angle” is how far up you’d have to crane your neck to view the satellite from the plane. You need a whole entire high school trig function for those last two. Above, I posted a long list of things with which the signal data conflicts (things folks extolling its reliability may wish to address with rigour). I left one out: if the 1st engine flamed out before the 2nd by as many minutes as the ATSB adamantly professes – causing material drops in both speed and altitude between the two events – your own paper’s baseline assumptions say MH370 could not have covered the distance between Arcs 6 and 7 in the available time. This is not a BFO problem: this is a BTO problem. A colleague of yours has squared this circle by assuming the ATSB is just way wrong on the flameout times. If we get to just cheerfully assume the invalidity of any data we please, then why can’t we pick the signal data, given its shady production history, and its monumental struggle to be consistent with anything else we see? “In short, Malaysia has the potential to act as the perfect base for Iran to engage in proxy conflicts in pursuit of its aim to become the de facto defender of the Islamic world, and to establish itself as a potent force in an area of growing significance to international power politics. – Would Furgo be paid less/same/more if they find a debris field earlier than June? – Have Australian officials thoroughly searched the Chinese vessel joining the search, to make sure they are not contaminating the scene (namely planting evidence) ?